How Much Can You Afford to Spend on a Used Car? It's not what you think! President’s Day. Memorial Day. New Year’s Sales. There are so many opportunities (read: sales at the dealerships!) to buy a car but the fact is, many of us don’t have the luxury of planning to buy a used car when the sales are just right. If you’re anything like me, I buy a used car and then drive it until the very last second when it breathes its last. Oops! Transmission goes out? No more air conditioning? Get in a little bit of a fender bender and suddenly your car is no longer driveable? That’s usually how it goes for me. If this is your car buying style too, this guide will help you be prepared the next time you find yourself in the market for a used car. When you walk into the dealership those smells always get me. I longingly look at the stunning new Lexus, Audi, and BMW models. I’ve come to terms with the fact that those brands are typically out of reach with my budget. To be honest, I’ve decided that any brand new car is out of reach for me, and with good reason. The newer the car, the faster the rate of depreciation. In fact, the very minute you drive a new car off the lot it will depreciate on average 10%. That means if you bought a new $25,000 car, before you even pull into your driveway you have lost roughly $2,500! Buying used can help save you a lot of money when you consider depreciation, monthly payments, and both taxes and insurance (way lower on a used car than a brand new one.) So if you’re expecting a bit of a heftier tax return this year, think twice before you spend big on a brand new car. Your hard earned cash might go a little further if you take a look at the used cars. Sound good? So how much can you afford to spend on a used car? We hate to break it to you but you won’t be able to look at any old auto calculator and figure out how much you can spend on a used car without a little work. And we should clarify, when we say “afford” we don’t mean what you’ll be able to get approved financing for! Most financial institutions will approve you for significantly more than you’ll want to spend in reality on a vehicle, and still have money leftover to live comfortably. Think about it this way: a car loan, a mortgage or rent, and student loans (if you have any) are likely the top three bills for your budget. You want to get this monthly payment right before you realize your cash flow is tight. Our best advice is to figure out this crucial step BEFORE you start looking at cars online or visiting a dealership or CarMax. You’ll be so glad if you figure out exactly what your budget is before you fall in love with a beautiful luxury car that you can’t have! There really isn’t a one-size-fits-all solution, it depends on how much you make and what your other bills are. Are you trying to save for a home or another major purchase? Try to stay around 15-20% of your income when it comes to your car payment. If you make $50,000 a year, you would have roughly $10,000 to spend. Don’t forget when talking about percentages that you need to consider maintenance, insurance, and your down payment. Are you more established and have a little bit of flexibility in your budget? Stay under 30% of your income for your car. Think you can’t find a great car within your budget? Think again! The Internet makes all things possible. 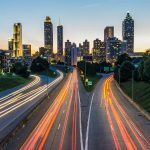 It’s true if you live in an area that has a higher cost of living, you might have a bit of a tough time finding a car on the lower end of those scenarios above. You can look for used cars outside of your city. People do it every day; and it makes a lot of sense. Surging demand makes the auto market shift every single day. Where is it more expensive to buy a car? Typically the west coast: cities in California and the Pacific Northwest. In these cases, you would benefit from checking into used cars that are for sale in neighboring areas or even try shopping online. It is possible to get a used car online that fits the bill. 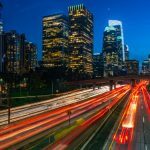 Long gone are the days of being limited to shady deals on Craigslist; reputable dealerships are doing a better job today online than ever before helping users get exactly what they are looking for. More than an hour or two away? You can always check out an auto transport company to ship the car home to you for an affordable rate. You’ll save money in the long run! Everyone’s definition of affordable is different, but these are a good place to start if you want a reliable car that won’t break the bank. For the purposes of this blog, let’s look at models that are no more than 8 years old. 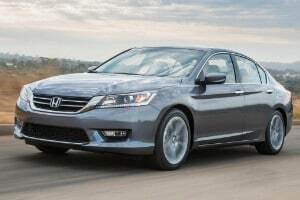 These cars are some of the most reliable long-lasting cars on the road. They hold their value well, they are roomy, and have excellent fuel economy. They are at the top of many used car lists (models from all years) with good reason. Depending on mileage of course, you can find them around $15,000 with plenty of life left. 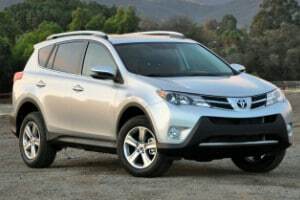 We are big fans of the 2015 Toyota RAV4. It was ranked as #8 in the 2015 Most Affordable Compact SUV’s. Great for a family car, spacious seating, and awesome capacity if you’ve got luggage or kiddo things to haul around. Pickup trucks aren’t always the first thought for an affordable used car, but if you’re set on one you have options! 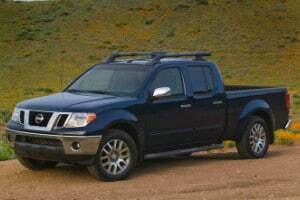 The 2011 Nissan Frontier is a great choice, often under $20,000. Users rave about the comfort and extra roomy cabin. How can we help you in your search for a used car? We have relationships with auto dealers across the country. If you’re looking at a car online and want to know if the dealer is reputable, we’d love to give you our opinion. Are you an auto dealer with great deals online? Let us know and we’ll give you a shout out so our readers can check it out. Best of luck in your car hunt! 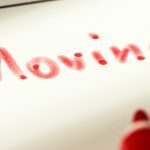 Why use a Car Mover in your Household Move? 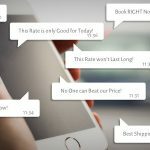 TEXT US FOR A QUOTE!